Stratis™ combines Doyle’s long standing design expertise with innovative in-house fibre aligned technology. Specialised design and manufacture deliver unsurpassed shape retention and performance throughout the most demanding race conditions. 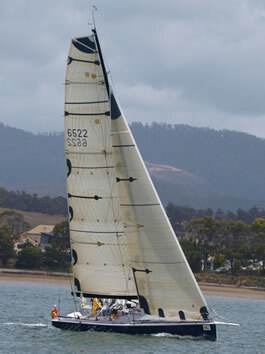 Stratis™ advanced fibre-aligned sails make load-path technology available to the racer and cruiser racer alike. Combining world-leading design with innovative engineering and materials technology, Stratis™ sail laminates are custom designed and manufactured to the individual specifications of each sail. Stratis™ sail laminates are stronger, hold their shape better, with much less stretch and are significantly lighter than conventional panel sails. Stratis™ custom designed, fibre aligned sail technology is now available to all sailors, not just Grand Prix racers.